Looking back into Neffs, from above first and second meadow along the upper ridge trail. It was a demanding hike to here, but rich in history, diversity, and rewards. 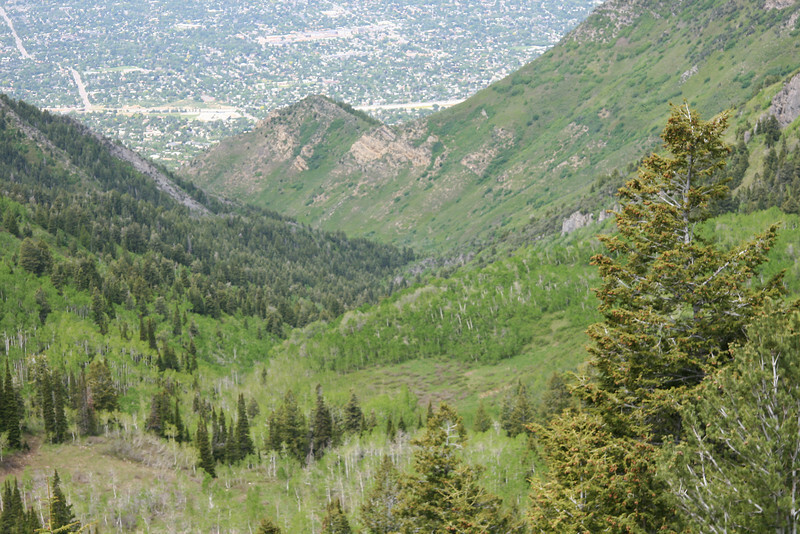 I clocked 5.25 miles to ridge and 3000 vertical gain, 9.8 to the Millcreek Thaynes Peak trail head. 2 car hike.